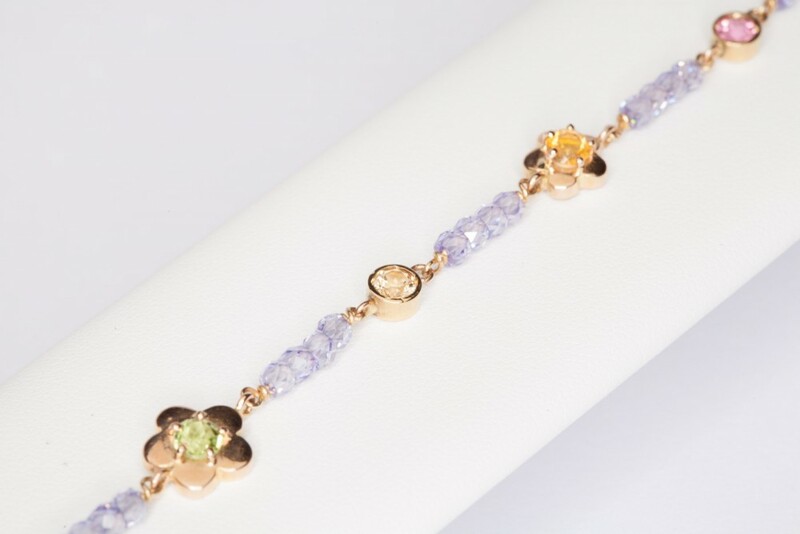 Bracelet in 18 kt gold with zircons and tourmalines. 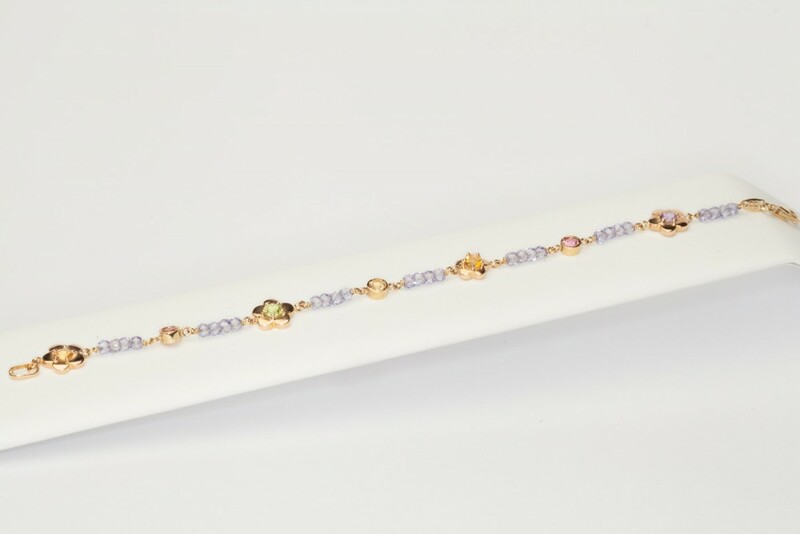 Bracelet in 18 kt yellow gold, made with purple zircons and tourmalines set in golden flowers. Bracelet is 19 cm of length. This item is sold with its own warranty and special packaging.